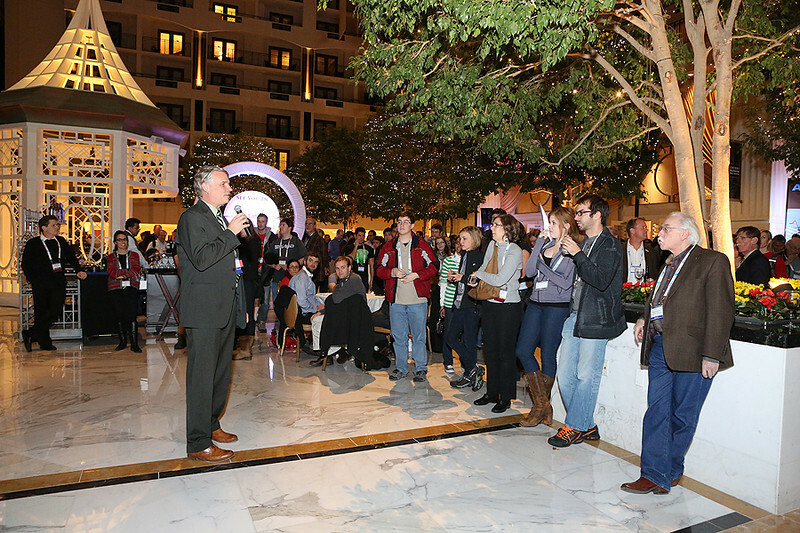 AAS Executive Officer Kevin Marvel spoke at the closing reception on Thursday evening, which provided an opportunity for attendees to say goodbye to old friends and new. It also provided an opportunity for some lucky astronomers to win raffle prizes from some of our exhibitors and sponsors, including the grand prize: a CCD camera from Apogee Imaging Systems. AAS photo © 2014 Joson Images.